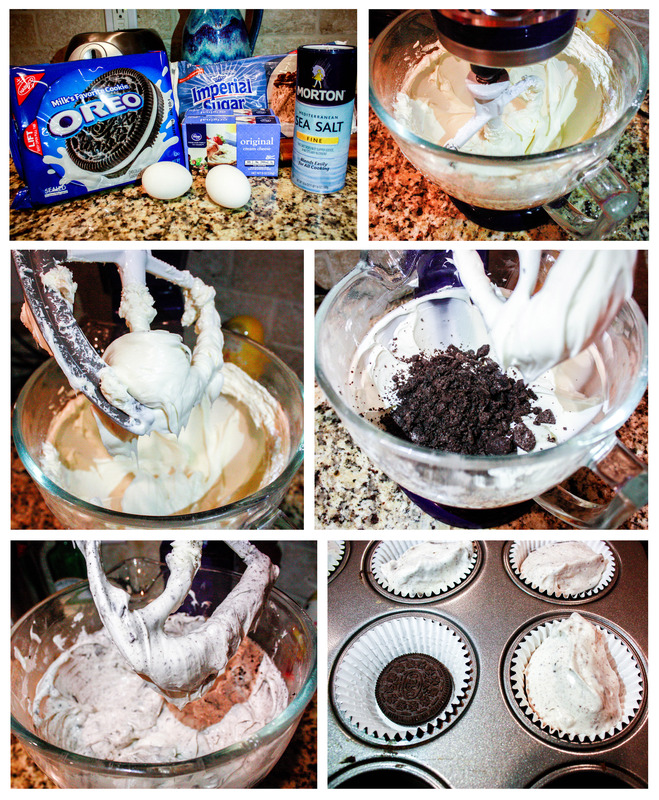 Preheat oven to 300˚ F. Line standard cupcake pan with liners and place 1 whole Oreo cookie in the bottom of each cup. In a stand mixer, beat on medium speed together 16oz cream cheese and 3/4c powdered sugar until it is smooth. Add 2 eggs whites one at a time and mix until combined using medium speed. Do not over mix it. Add a pinch of salt and mix briefly. Fold in 8, coarsely-chopped Oreo cookies. Fill each cup over the Oreo cookie, almost to the top. Bake for about 25 minutes (until the centers appear set and the toothpick inserted in the center comes out clean). Freeze the cupcakes until 24 hours before your event. I recommend placing back in the cupcake pan and wrapping in seran wrap and aluminum foil to lock in the moisture. Melt 12oz chocolate in microwave in glass bowl, 30 seconds at a time (I set my Power Level lower to not burn the chocolate). Once melted remove from heat, add 3T dark cocoa powder one tablespoon at a time, mixing well until totally smooth after each addition. Set aside to cool slightly to lukewarm. Beat the 2c butter at medium in a large mixing bowl for about 3 minutes, until creamy. Take time to scrape down sides of bowl and beater a few times. Slowly add 4T milk and continue to beat until smooth. 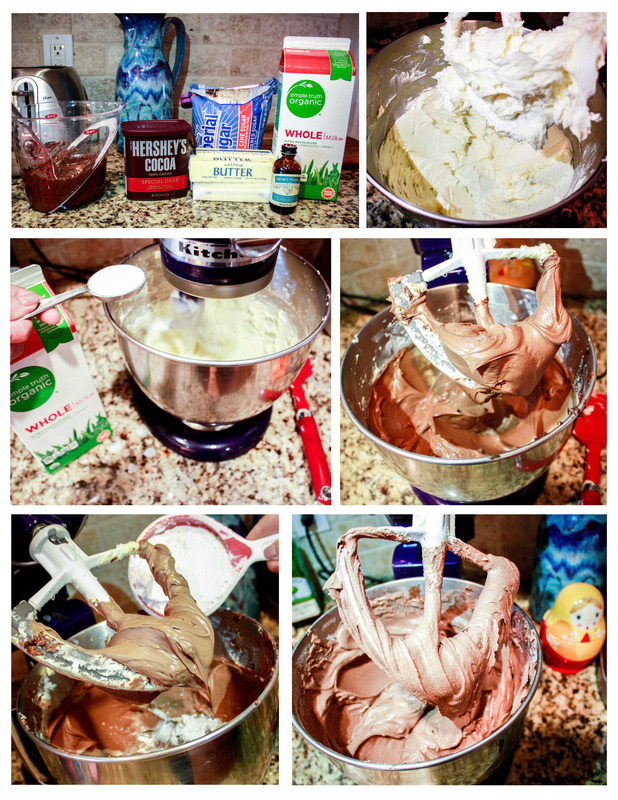 Turn off mixer to add melted chocolate, beat well for 2 minutes. Turn off mixer, scrape down sides and beater. Add 1 1/2t vanilla, beat for 3 minutes. Turn off mixer, scrape down sides and beater. Add 3c powdered sugar about a half cup at a time, once all sugar has been added, scrape down sides and beater one more time. Beat on low until creamy, or to preference. If needed to adjust consistency, add either more milk or more sugar a smidge at a time. 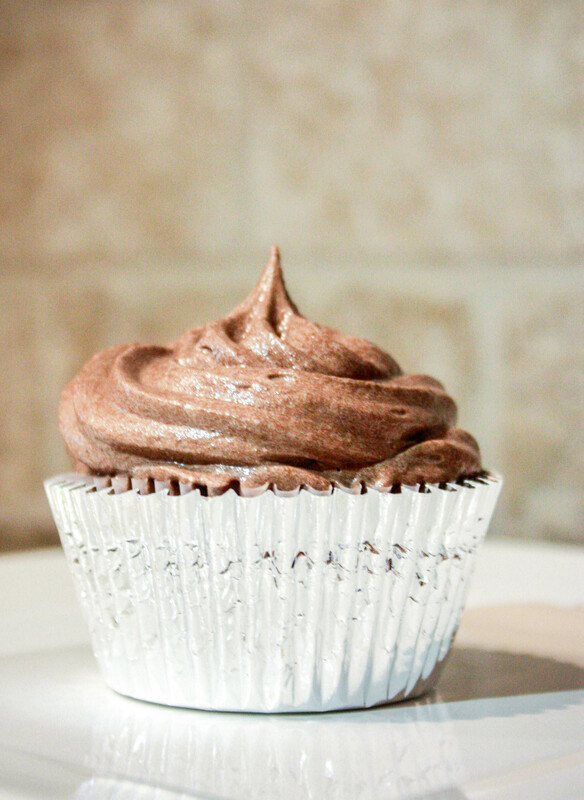 Remove cupcakes from freezer and frost cupcakes about 24 hours before eating. Refrigerate until ready to serve. 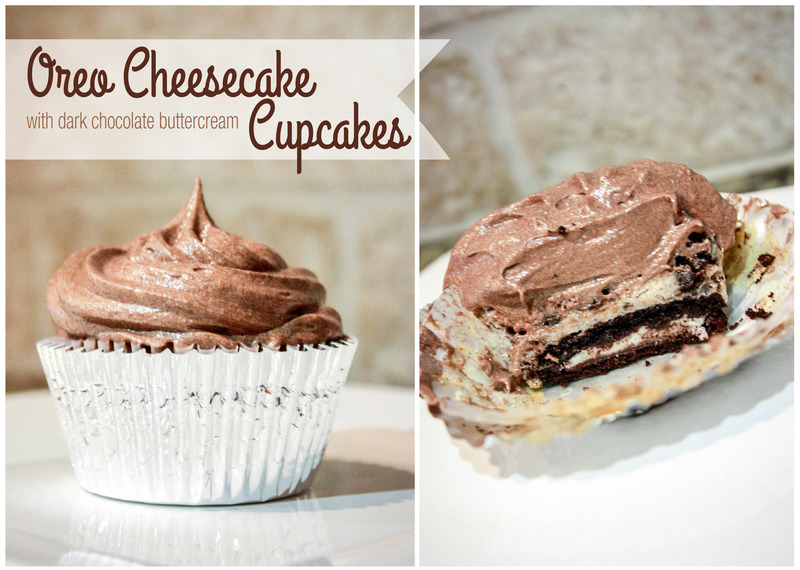 These cupcakes will make a great addition to any party and are the perfect comfort food for the Fall and Winter season! Pair them with a nice, cold glass of milk and it’s perfection! Thank you! 🙂 I just use WordPress.com and they host my site.